This wonderful breakfast recipe came to me via Pinterest, originally from a site called On My Plate. It called for Feta, but I am using fresh goat cheese (shocking, I know). It’s so quick and easy, you can manage it even if you only have 15 min to prep! Spray twelve muffin cups with non-stick cooking spray; set aside. In a large skillet cook green onions and garlic in 1 tablespoon of the oil until tender. Add spinach; cook and stir over medium heat just until wilted. On a well-floured surface, unroll pizza dough and shape into a 12×8-inch rectangle. Spread spinach mixture to within 1 inch of the edges of dough. 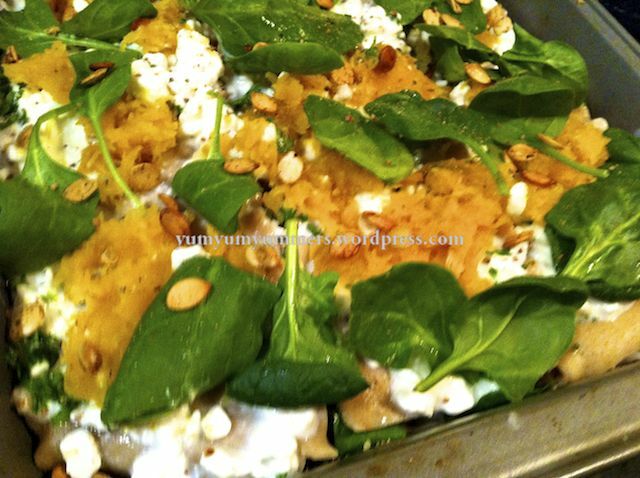 Sprinkle with feta cheese and pine nuts. Starting with one of the long sides, roll dough into a spiral. Slice roll into 12 pieces. Place cut side up in prepared muffin cups. Brush with butter and sprinkle with Parmesan cheese. Let stand in muffin cups for 2 minutes. Carefully remove from cups and serve warm. Another cold summer day in Northern Michigan, so I have to content myself with a cool weather recipe. But such a tasty one — puffy, creamy, cheesy, spinachy goodness! Thanks, Martha Stewart, for the secret ingredients list! IMHO, you can use either Gruyere or any aged goat cheese! You don't need the expensive copper ramekin! In a large bowl, using an electric mixer, beat 4 egg whites and pinch of salt on medium-high until stiff peaks form (do not overbeat), about 3 minutes. In 2 additions, gently fold egg whites into souffle base. Pour batter into prepared dish and bake until souffle is tall, browned, and firm to the touch, about 35 minutes. (Avoid opening oven during first 25 minutes of baking.) Serve immediately. Souffles are much simpler to make than you think. 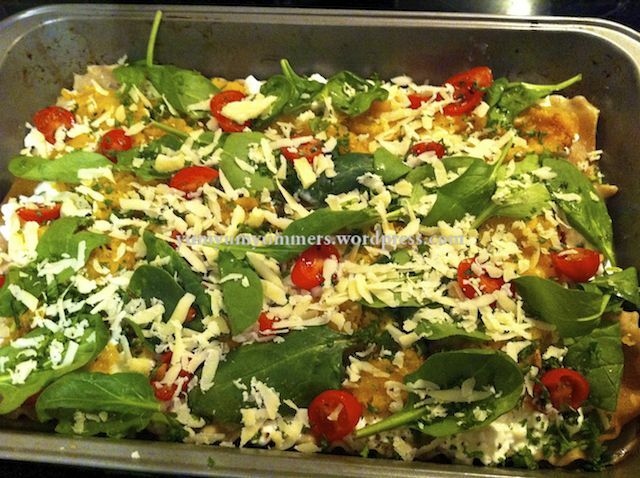 Just stir egg yolks and spinach into cheese sauce to create your base. All that is left is to fold in egg whites and bake. Who doesn't love creamy pasta for dinner? *You can also use frozen basil puree, frozen into cubes. One cube, thawed, worked perfectly. Heat the oil in a large skillet over medium heat and sauté the garlic, green pepper and red pepper flakes until the vegetables are tender and just barely starting to brown at the edges. Meanwhile, in a medium bowl, whisk together the eggs, parmesan, fresh goat cheese, salt and pepper. If using thawed basil puree, add it to the eggs and whisk well to combine. 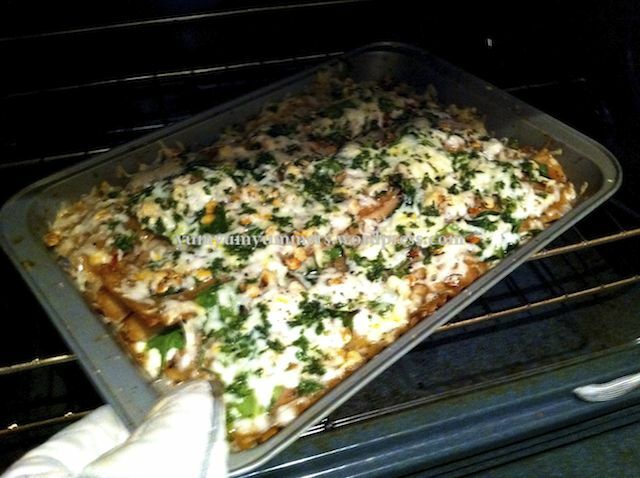 Place the cooked pasta, mache and sorrel in the skillet and toss with tongs to get everything combined. Pour over the egg mixture and toss until eggs begin to set up. You may need to scrape the bottom of the skillet with the spatula to lift the eggs up a bit. If using fresh basil, add it soon after the eggs and continue to toss to combine. When eggs are set to your liking (about 4-5 minutes), remove skillet from heat and serve pasta with extra Parmesan. Good reheated gently in the microwave.